What comes to your mind when you think of Swiss? You have to answer instantly.. Is it Chocolate, Cheese and Watches? Yes.. yes.. Lot of of Indian Hindi film stars from the likes of Shahrukh Khan to Aishwarya Rai are brand ambassadors for Swiss watches. Even for a guy like me, who don't wear watches, cannot fail to notice the 'snazzy' watch advertisements from the Bollywood glitterati. 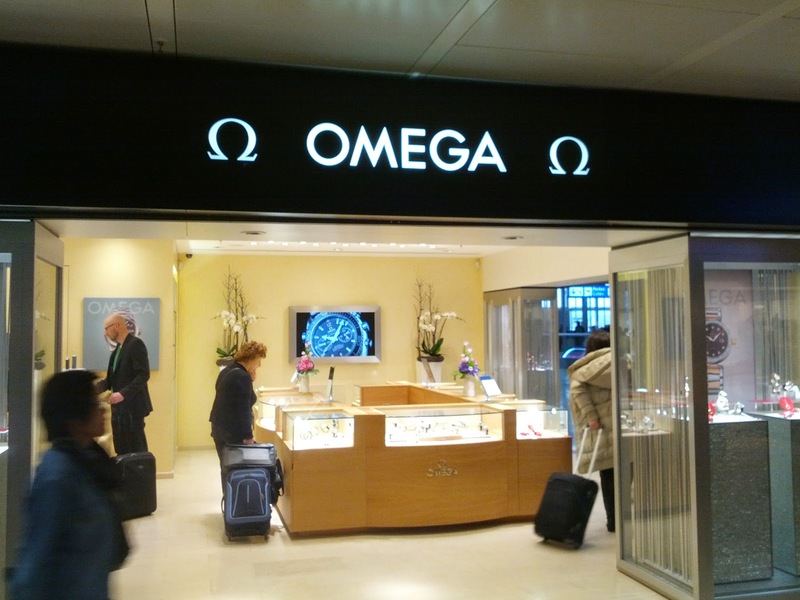 I had some time to kill at Geneva Airport last week and 'window shopped' for a watch for Sita. But I did not buy. Why?... Here is that story.. 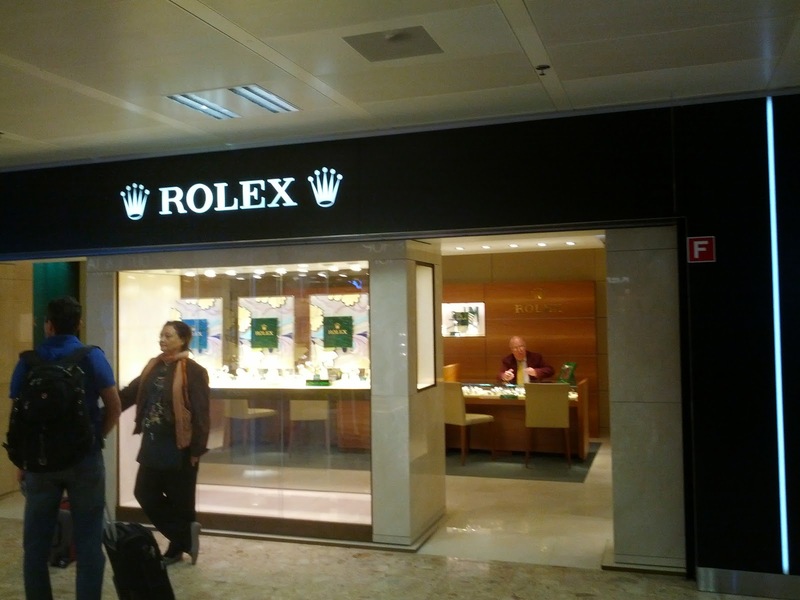 Chose Rolex showroom as the first one to visit as it is most popular Swiss watch brand I know. 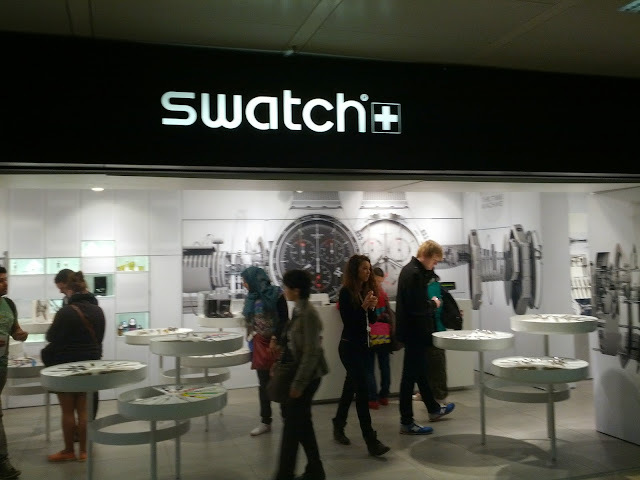 There were no shoppers and there was no price tag in any of the watches. I asked the old man at the counter for the price. He reluctantly looked up and gave me 'that' look which could have said 'If you are asking for price, then you can't afford it'.. but instead said 'starts at 4000 Franc and goes up to several hundreds of thousands'... I mumbled 'Merci beaucoup monsieur' and quickly walked out. 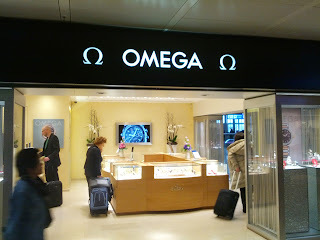 I didn't even bother to enter the next two stores as they talked of 'diamond watches' and had no price tags. I decided to not to enter any store that didn't have price tag and /or shoppers. Applying that principle, I skipped few other stores till I found Swatch.. 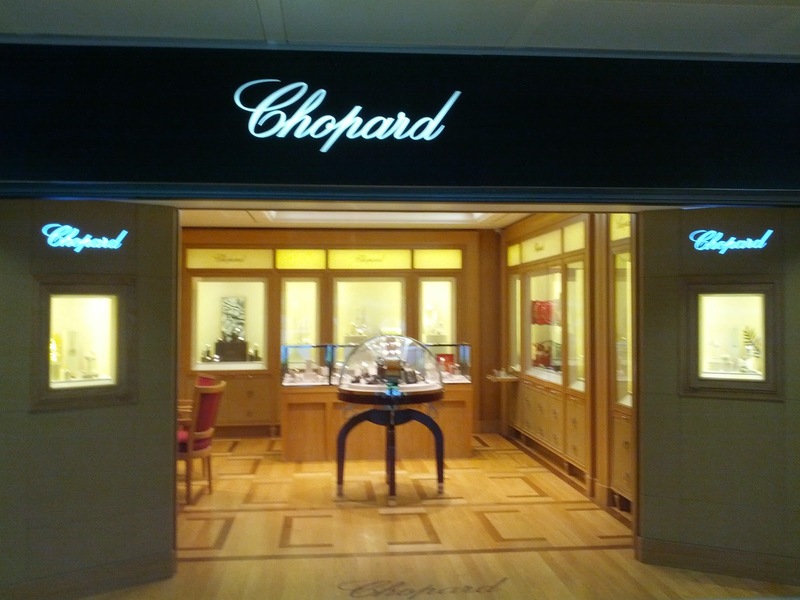 This experience left me wondering who really buys the expensive Swiss watches and the 'economics' behind the luxury market. 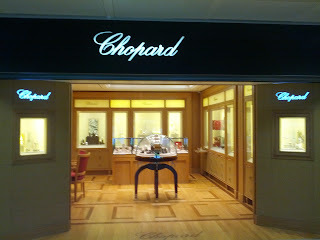 Walking in, I knew they weren't the Walmart types and not built for masses but didn't realize it is only for 'billionaire club'. That's perhaps the reason why 'knock off' Swiss watches are the most sought after commodity in Beijing Silk market after the pirated Hollywood movies. More photos from my Swiss visits here..